The Mikoyan MiG-29 (Russian: Микоян МиГ-29; NATO reporting name: "Fulcrum") is a twin-engine jet fighter aircraft designed in the Soviet Union. 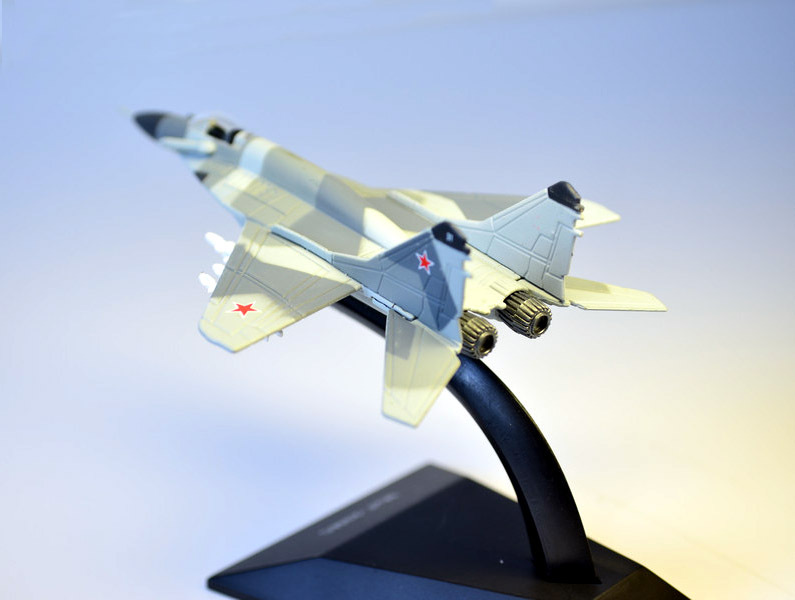 Developed by the Mikoyan design bureau as an air superiority fighter during the 1970s, the MiG-29, along with the larger Sukhoi Su-27, was developed to counter new American fighters such as the McDonnell Douglas F-15 Eagle, and the General Dynamics F-16 Fighting Falcon. The MiG-29 entered service with the Soviet Air Force in 1983. 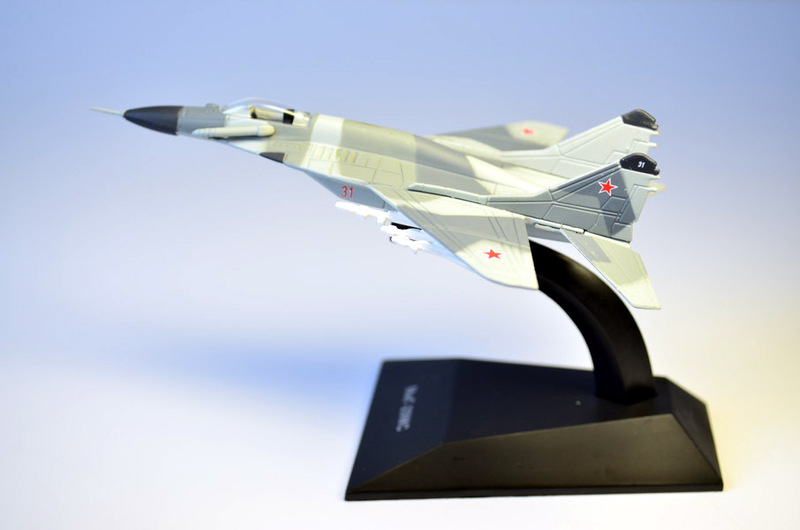 While originally oriented towards combat against any enemy aircraft, many MiG-29s have been furnished as multirole fighters capable of performing a number of different operations, and are commonly outfitted to use a range of air-to-surface armaments and precision munitions. 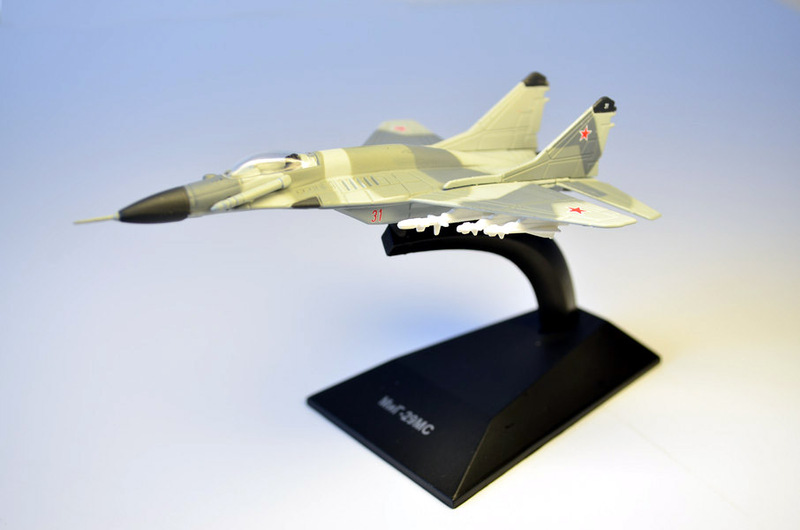 The MiG-29 has been manufactured in several major variants, including the multirole Mikoyan MiG-29M and the navalised Mikoyan MiG-29K; the most advanced member of the family to date is the Mikoyan MiG-35. Later models frequently feature improved engines, glass cockpits with HOTAS-compatible flight controls, modern radar and IRST sensors, considerably increased fuel capacity; some aircraft have also been equipped for aerial refuelling. Following the dissolution of the Soviet Union, the militaries of a number of former Soviet republics have continued to operate the MiG-29, the largest of which is the Russian Air Force. The MiG-29SMT is an upgrade package for first-generation MiG-29s containing enhancements intended for the MiG-29M variant. Additional fuel tanks in a further enlarged spine provide a maximum flight range of 2,100 km on internal fuel. The cockpit has an enhanced HOTAS design, two 152 × 203 mm (6 × 8-inch) colour liquid crystal MFDs and two smaller monochrome LCDs. The MiG-29A was not designed for an advanced air-to-ground capability, this is substantially improved by the SMT upgrade; features include air-to-ground radar detection and integrated air-to-ground guided weapons. The upgraded Zhuk-ME radar provides similar features to the MiG-29M. The power plant are upgraded RD-33 ser.3 engines with afterburning thrust rated at 8,300 kgf (81.4 kN) each. The weapons load was increased to 4,500 kg on six underwing and one ventral hardpoints, with similar weapon choices as for the MiG-29M. 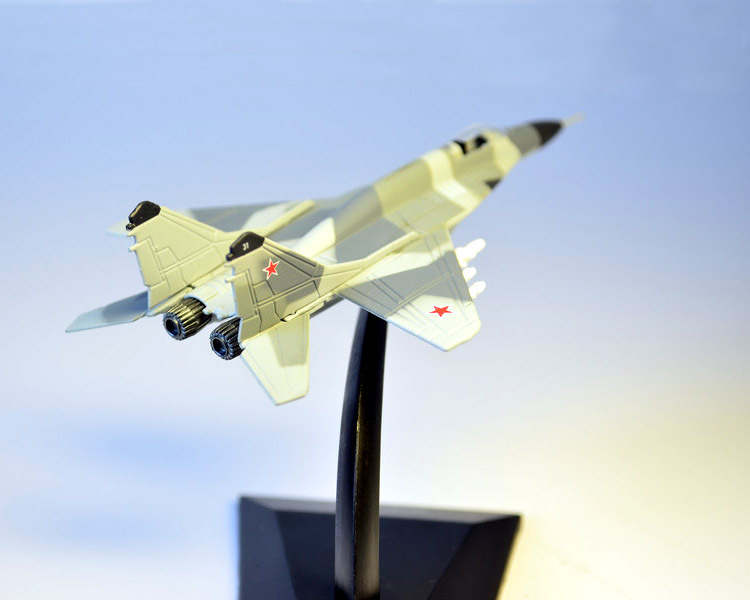 The upgraded aircraft can also accomidate non-Russian origin avionics and weapons.